Very few people understand the humble workings of the lymph system. But, understanding this vital system can provide insights into the body's profound ability to care for itself. In Ayurvedic medicine, it is the first system to treat, but in the west...it is simply not addressed until a frightening diagnosis is made. The good news is that keeping the lymph moving doesn't take much effort. The lymph is not under pressure and so, it only moves because of exercise or muscle contraction-you have to move your body, but you also need to learn to relax and learn to relieve stress. Stress can create an exhausting chemistry in the body and often leaves us depleted. The body doesn't have the energy required to stay calm under pressure, which can lead to chronic fatigue and irritability. Also, one of the most common causes of lymph congestion is dehydration, so drink plenty of pure water, and you will want to include plenty of raw foods and herbs. When the lymphatic system becomes sluggish, it can lead to impaired immunity and may also be the root cause of arthritis, rheumatism, eczema, swollen glands, edema, chronic pain, cellulite, high cholesterol, ear infections, chronic sinusitis, bronchitis and other upper respiratory infections. This herbal formula helps to meet the needs of a stressed immune system and is particularly helpful to the circulatory system, which may be a great benefit the lymphatic system. Prickly Ash Bark is one of the best tonic herbs, as an alterative circulatory stimulant. It is considered to be a good herb for conditions with pelvic congestion (of lymphatic origin) in both men and women. Prickly Ash Bark herbal tincture is known to have a stimulating effect on the entire lymphatic system and thus encourages elimination of toxic metabolites from the body. The herb is essential for chronic problems of the skin when there is poor circulation, such as varicose veins, rheumatism (RA), and other inflammation of the muscles, joints, and connective tissue. Sarsaparilla root extract is considered to be a blood tonic and a good alterative herb for systemic circulatory issues where there is chronic skin irritation. The herb is believed to be especially useful for removing heavy metals from the body if taken properly. Sarsaparilla binds to toxins and helps to detoxify the body. Some of its herbal properties are the saponin compounds, as well as the calcium, iron, iodine, zinc, copper, potassium, manganese, silicon, sulfur, sodium, B-complex, and vitamins A, C, and D content. Herbalists often use Sarsaparilla root along with Burdock root for conditions of the blood, liver, and kidneys, to help restore proper functions of the body, which then help to increase health and vitality. Poke root is really beneficial for all glands but is most often used in the support of the lymph system, particularly in cases with swollen lymph nodes. The herbal tincture is most effective for issues of the throat, and as a powerful anti-catarrhal, it can also be used to remove the mucous buildup of the nose, as well as the throat. Poke root extract is often combined with other herbs to help perform detoxifying functions by acting on the liver, the prime organ for detoxification in the body. Stillingia root helps to increase drainage and limits stagnation of the lymph system, while Prickly Ash bark and Red Clover stimulate the circulatory and lymphatic systems of the body. Stillingia root comes from a perennial plant, native to North America, and became the alterative herb of choice in the last century, and is believed to be especially effective for the lymphatic system. It has been used to help rid the body of toxins and cleanse and purify the blood, as well as for throat and bronchial issues. Stillingia root tinctures were used traditionally in cases of fluid imbalance in the body, including the blood, bile, and lymph and encourage elimination of metabolic waste. Burdock Root comes from another useful plant that has been disparaged as a weed. The herbal properties have been used to aid in kidney and bladder function, liver, and gallbladder issues, and is especially good for the systemic imbalance that manifests as skin problems, as well as arthritis and gout. The Eclectics considered it to be a lymphatic herb, promoting the flow of the lymph and is believed by some to be equivalent in lymphatic action to Poke root. Burdock contains inulin, which may have a positive effect on the immune system. In fact, Burdock root is ranked eleventh in a poll, of medical herbalists in the U.S., as one of their most important herbs. Red Clover Blossoms are a rich source of minerals and vitamins, and also contains isoflavones, polysaccharides, coumarins and essential oils. As a lymphatic herb, it is found to be an effective remedy for the treatment of acute and chronic lymphatic congestion and swollen lymph nodes. Red Clover extracts are used primarily as a depurative, or detoxifying herb, and is known to assist the body in removing waste products and toxins from the fluids and tissues. For this reason, it is often combined with other herbs for skin conditions, and to treat inflammation of muscles, joints, as these conditions always have a toxicity component. Barberry Root Bark, Berberis vulgaris, is a plant that has played a major role in herbal medicine for over 2500 years. It is considered to be a major liver and gallbladder tonic, including being valuable for inflammation and stones. It has been used especially to cleanse and strengthen the whole system. It has a mild laxative effect and used for digestive support. Peach tree bark, Prunus persica, is an excellent "blood cleansing" herbal tincture that has been shown to help remove toxic residue from the blood so that the blood and body resist major illness. Licorice root has a cleansing action that helps to filter debris from the lymphatic system and swelling of lymph nodes. Its remarkable properties have been overlooked for all natural treatments. Licorice root extract is useful for conditions including blood cleansing, body odor, bursitis, liver troubles, Lyme disease, psoriasis, arthritis, ulcers and yeast overgrowth. Echinacea Root, Echinacea Angustifolia, is our premier anti-microbial herb that is good for all infections in the body. This species of Echinacea root was used by Native Americans for infections of the blood. 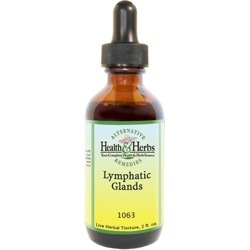 As a lymph herb, it may help to control lymphatic congestion and swollen lymph nodes. As a "blood cleanser" it works to eliminate toxic build up such as prostaglandin and E-2 prolactin. Pau d'Arco Bark, Taheebo, is native to South America and has been used to treat an extremely wide range of conditions. The array of the herbal remedies properties include: anti-bacterial, anti-fungal, antiviral, anti-parasitic, anti-inflammatory, lymphatic, and anti-tumor. There are reports of its medicinal use dating back to 1873 for snakebite, lupus, infectious disease, arthritis, wound healing and cancer. Pau d'Arco extract is a powerful "blood cleanser" and an herb that helps to flush the lymph nodes, clearing lymphatic congestion. Pau d'Arco root contains ingredients such as quercetin, clonidine, and other flavonoids that may contribute to its effectiveness in the treatment of infections and disease. Cayenne Pepper has been used in herbalism, as a general stimulant to help build up resistance to colds, hoarseness, shingles and for swollen lymph glands. Capsicum is rich in vitamin C, a known immune system aid. Vitamin C contains bioflavonoids that the body needs to produce white blood cells. These are the disease-fighting component of the blood, and those responsible for purifying the cells and tissues of toxins. It is an excellent herb, and one of the most powerful of all herbs for stimulating the body's energies for healing. But one of the most remarkable qualities of Cayenne extracts is its ability to act as a catalyst and intensifies the effects of other herbs by ensuring speedy, thorough distribution. As a stimulant, Cayenne pepper has positive effects on the circulatory and lymphatic system. Capsicum brings heat into the body and, therefore, causes us to sweat, an important process in a detox program. Astragalus root has been used in Traditional Chinese Medicine for more than 2,000 years. It is known as Huang Qi, one interpretation of the word is "yellow leader, or "senior", another is "life-force strengthener". Astragalus membranaceous is known to be an excellent lymphatic system cleanser. And, alongside Echinacea, it may be especially helpful for alleviating congestion and swelling in the body. It is believed to enhance and regulate the immune system, promote the interferon system, and help to improve resistance to disease. Some of the constituents of the herb are being studied extensively in the East and West for its applications against cancer, blood sugar imbalances, adrenal fatigue, heart disease, even longevity. Chaparral leaf has been used historically as a 'blood cleanser'. It is said to assist the immune system and cleanse the lymphatic system. Chaparral helps to clear heavy metals from the system, and the most powerful antioxidant in nature. The primary biochemical responsible for this is NDGA, that is so effective it is often used as a food preservative. This action is very important for resistance and fighting disease, as its anti-pathogenic activity may help to kill certain viruses, bacteria, and parasites in the body. The herb is often time incorporated in blood cleansing formulas, along with Red clover, Burdock root and Poke root. Ingredients: Prickly Ash Bark, Sarsaparilla Root, Poke Root, Stillingia Root, Burdock Root, Red Clover Blossoms, Barberry Root Bark, Peach Bark, Licorice Root, Echinacea Angustifolia Root, Pau D' Arco Bark, Cayenne Pepper, Astragalus Root, Chaparral Leaf, Structured Water, 20% Alcohol. Non-Alcohol: Prickly Ash Bark, Sarsaparilla Root, Poke Root, Stillingia Root, Burdock Root, Red Clover Blossoms, Barberry Root Bark, Peach Bark, Licorice Root, Echinacea Root, Pau D' Arco Bark, Cayenne Pepper, Astragalus Root, Chaparral Leaf, Structured Water, Vegetable Glycerin. From Anonymous of Palm Coast, Florida on 8/30/2014 .